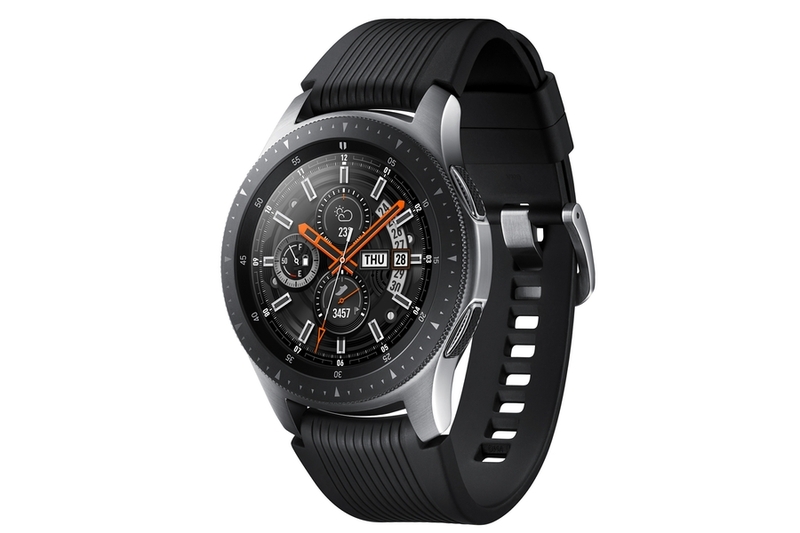 This is my short review on the Samsung Galaxy Watch 46mm. Har du fået en ny Windows 10 computer, installeret Office 365 og har en iPhone, vil du sikkert gerne have din kalender osv på din maskine. Min kollega, som bruger en iPhone, havde problemet, med at når han forsøgte at tilføje sin iCloud-konto i Windows, gav den ham en fuldstændig meningsløs besked: “Indstillingen kan ikke fortsætte, fordi Outlook ikke er konfigureret til en standardbeskrivelse. Kontroller Outlook-indstillingerne og prøv igen.” – Den oprindelige, engelske, beskrivelse er lidt mere sigende: “Setup can’t continue because Outlook isn’t configured to have a default profile. Check your Outlook settings and try again.”. Den er meget svær at knække, men min kollega faldt over en post der løser problemet, som kræver at man bruger PowerShell til at fyre nogle kommandoer af. I found a very cool little drawing app for Windows. It’s made by a Swedish guy under the name Xade Software and it’s called Leonardo. So if you’re into drawing/sketching check it out! If you have ever tried to get some LetsEncrypt SSL-certificates by using the DNS-challenge, you might have been frustrated that the challenge is different each time you run it, so you have to leave it until the DNS has propagated. That means you might lose the connection to the server you are doing it on. There is a simple work-around: Let’s say you are requesting 3 certificates (or challenges), go through to the last one, do your DNS changes, then press CTRL+C to abort the certbot. Now you can wait comfortably until the DNS has propagated. When it has, simply start the certbot again using the same command, and the challenges are the same. Hvad koster det, hvis man skal have én af hver i IKEA? Det var et sjovt spørgsmål jeg faldt over på Twitterhjerne‘s feed: Hvad koster det, hvis man skal have én af hver i IKEA? Klokken var mange, og jeg sumpede lidt foran computeren, så jeg tænkte at det ville jeg da finde ud af. Jeg startede med at se, om der var et sted hvor man kunne se alle deres produkter. Det var der ikke, men der var et sted hvor man kan se alle kategorierne, og på undersiderne er alle produkterne så. You should then be able to git/ssh to your sites again. But do remember to upgrade, as your old 1024-bit key is vulnerable to the logjam-attack. Så kom den nye registreringsafgift. Som et lille eksperiment, har jeg prøvet at lave en beregner, hvor du kan plotte en gammel pris ind, og sammenligne med hvad den nye pris vil være. Jeg ved den er korrekt for nogle priser, men jeg er ikke 100% sikker på, at den er korrekt for alle input! Klik her for at prøve! So, I was going to update my Mavic Pro to the latest firmware. At the end the iPad said that it had failed. The battery also looked weird. The second and third LED-indicator was lit and blinking every 15 seconds or so. And it wouldn’t react to anything, you could not turn the Mavic off. I pulled the battery out and replaced it with another and the update was successful this time. You have to upgrade all batteries, so I turned it off and replaced the second battery with the third – update was quick and successful. Now I was stuck with the first battery that wouldn’t do anything. Every time I tried to upgrade it, it said that battery must be 50% or more. Inside the app it looked like 0% and 0 degrees warm, 0 mAh capacity :P I solved it by leaving it in the charger for about an hour, then started the app, then the RC, then plugged in the battery (the drone will turn off automatically with the defective battery). The “start screen” of DJI Go will check the firmware, then give you notice that there is a firmware mismatch, and if you want to upgrade. Swipe to upgrade and it worked. Now I had to do charge it a few times before it worked. It didn’t work with my Android phone, but I succeeded with the iPad eventually. After upgrade, everything was back to normal. So, we got tired of the weather here in Denmark, and wanted some heat, beach and interesting experiences. We decided to go to Croatia for vacation. 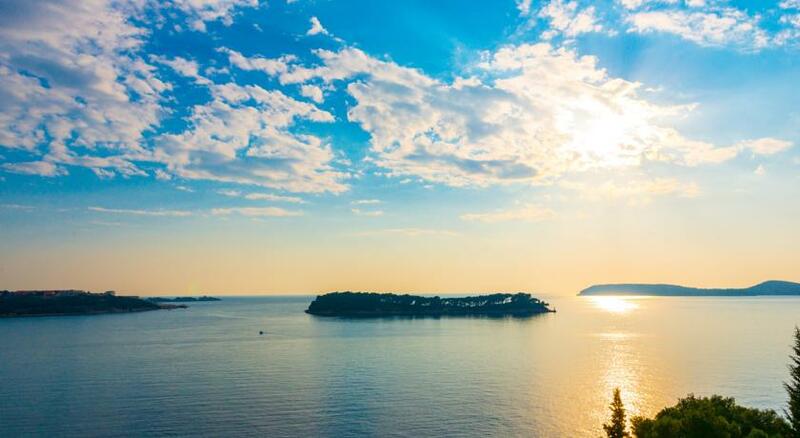 We chose the southern part of Croatia, specifically Dubrovnik, which has an interesting coast line and nice places. We looked at a lot of places to stay. We’re a family of 4 – two kids 12 and 14 – it was important that there was lots of space, separate bedrooms and a nice, quiet place to base our adventures from. We ended up choosing an two bedroom apartment just outside of Dubrovnik, in a town called Lozica. Even though it’s a different town, I would class it as being in Dubrovnik. It takes 5-10 minutes to drive to the center, which is perfect. The place is called SunDeck Comfort Apartment, and the name fits! We could not have chosen a better place to stay. The photo above is the view from the apartment. Jeg skrev et lille brev til Ekstrabladet, som kommentar til deres artikler om deres skræmmekampagner omkring nikotinflasker.